United Methodists are likely to sing Charles Wesley’s “Come, Sinners, to the Gospel Feast” sometime during Lent, the weeks leading up to Easter. The hymn invites everyone to receive new life in Jesus Christ. 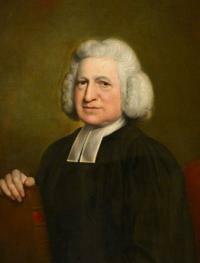 Charles Wesley was a gifted hymn writer whose words continue to inspire. Public domain image via wikipedia.org. Some people have a spiritual gift for making others feel welcome. Gifted parents make their sons and daughters’ fiancées feel part of the family on their first Easter together. Generous students and welcoming coworkers eat lunch with those who are new. Kind church members alleviate the anxiety of parents of squirming kids by offering a warm smile from across the row. Jesus demonstrated the ability to turn a stranger into a friend. He ate with those whom others kept at arm’s length; chose a tax collector as part of his inner circle; and made Samaritans heroes in his stories. Jesus invited all to follow him, regardless of their personal history or social standing. Lent is often understood as a time that is all about us, the people who are already part of the church. We use the season to focus on our inner lives through fasting and abstinence and spend extra time in private prayer and devotion. We attend special worship services and Bible studies where we use old words like penitence that need explaining. But Lent is also a time of welcome. Baptism, the sacrament through which we are initiated into the Church, was a central part of the earliest celebrations of the resurrection of Jesus on Easter Sunday. Before the church formalized Lent into a liturgical season, they used the weeks before Easter to prepare converts to be welcomed into the community of faith through baptism. In 18th century England, some people felt welcome in the church, while others did not. Righting this wrong was part of the impetus of John Wesley and the early Methodist movement. The first Methodists were intentional about welcoming everyone. They preached where people gathered—town squares and fields near mines. In their meetinghouses, they educated children and distributed medical care to those who could not afford to see a doctor. They also visited prisons to share the gospel of Jesus Christ there. These ministries grew out of what Wesley taught about God’s grace. He used the phrase prevenient grace to describe the love God has for everyone, even before we are aware of it (prevenient means “coming before”). This also meant Wesley viewed the sacrament of Holy Communion differently from many of his colleagues. 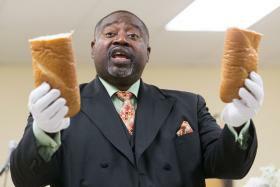 He began to celebrate an “open table,” which United Methodists still practice today. This means that regardless of church membership or lack of it, all who love Jesus, earnestly repent of their sin, and seek to live in peace with one another are welcome at the table where they can begin a new life of discipleship..
Charles Wesley’s “Come, Sinners, to the Gospel Feast,” extends the invitation in song.